Resin figures from USA. Warriors was a subsidiary of the VLS Corporation until the latter was bought by Squadron Mail Order. 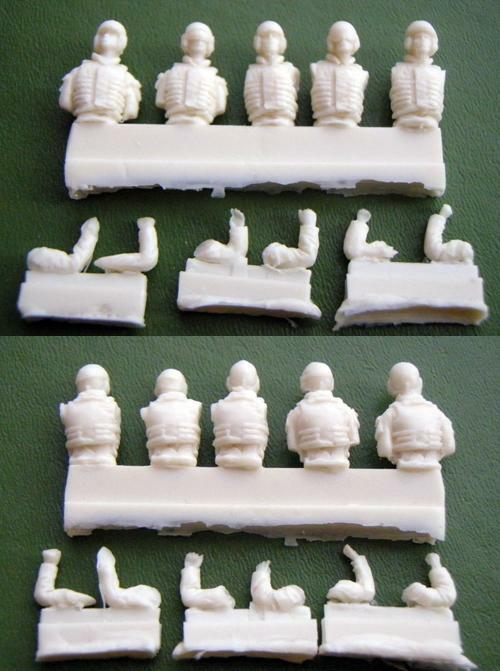 72009 WW II German Tank Crew Resin. Four half figures in summer uniforms. 72010 Modern USMC M-998 Crew Resin. Three figures in desert uniforms. 72011 WWII Russian Infantry Resin. Six marching figures.